Last Sunday, the Sunday of Thanksgiving weekend, I found myself without a parish visitation. We were home, having returned from our holiday travels on Saturday night, and I found myself tossing around the options for Sunday morning: 1) sleep in 2) go for a hike 3) worship in one of our local Episcopal congregations 4) go “rogue” and worship in another denomination. I’m not the type to sleep in. I could probably count on one hand the number of times that I have stayed in bed past 7 AM in the past decade or two. A hike sounded good- but that could happen any time on Sunday. …and, truth be told, I kind of wanted to sink into some wooden pew somewhere and be a little bit anonymous- just me, and God, and whomever else happened to show up. I was feeling a little stressed, in need of some liturgical solace, and I was after a good Word. I wanted to hear a good message about Matthew 25 and the call to service and to find Christ in the world. I was curious how a preacher would handle Christ the King Sunday in our current cultural climate, and, if I could get Holy Communion out of the deal, I figured that would be great, too. I did some internet research. As I perused websites, I found my anxiety ratcheting up. What time was the service? (The church that I wanted to go to only had its summer schedule on the website). Which church in the town I had selected, with its many churches, was it, exactly? I used Google Maps to zoom in on my church of choice. I wondered if I could wear jeans. One of the joys of a day off for me is not having to dress up. A website for one of the churches I was considering told me exactly where to park, how to enter the building, what to expect in the service, and the range of acceptable dress (jeans to suits). I ended up not selecting this church because it is from a liturgical tradition several steps away from ours, and I felt very uncomfortable. In spite of their excellent website and welcoming information, I crossed it off the list. I settled on a parish in a liturgical tradition close to ours, and became flummoxed when I could not find a website, only a Facebook page, and there was no Sunday schedule readily apparent. After four or five attempts, I found the info that I needed, and planned my 8 AM visit. I went to bed excited and not a little anxious about this pending adventure. I wondered if this is what other anticipatory “church shoppers” felt like on a Saturday night. On Sunday morning I got up, put on some black pants, a button down shirt and my large down coat. I figured that if I kept my coat on, I wouldn’t have to tuck in my shirt. I left the house in plenty of time, and, arriving at the church, I parked on the street. I sat in the car and observed others arriving and walking in through the side door. I followed suit, except, when I got inside, there were two long hallways to choose from and it wasn’t clear which one was the path to the sanctuary. I chose the wrong hallway. I ended up in the church administration wing, and hoped that no one would find me, wandering around, like I didn’t know where I was. I tried the other hallway, but that ended up in a dead end. I felt like a fool. Where had those other people gone? I went back outside and headed for the front of the building. Opening the front door I stepped into a vestibule and, one or two turns later, I found the sanctuary. Man. I attended the 8 o’clock service. There were 12 or 14 people (mostly couples in their early- mid 70s) sitting in the three back pews of a church that was, probably, twenty pews deep. I was warmly greeted by the minister at the beginning of the service, welcomed at the announcement time, and approached by three members of the congregation during the Peace, as they wondered, I think, what I was doing there. There was no collection, so the bill that I had folded up and had ready in my coat pocket, went home with me. The sermon was okay. I tried to turn off the “church reviewer” in my head and not notice the frayed robe on the lay assistant, the mispronunciation of words in the Old Testament reading, and the stain on the carpet in the center aisle. Clearly, I failed at that. The best part of the whole hour was the generous pocket of silence that the minister allowed between the beginning announcements and the opening sentence of the liturgy. There was a period of about three minutes in which you could have heard a pin drop. No words. No music. 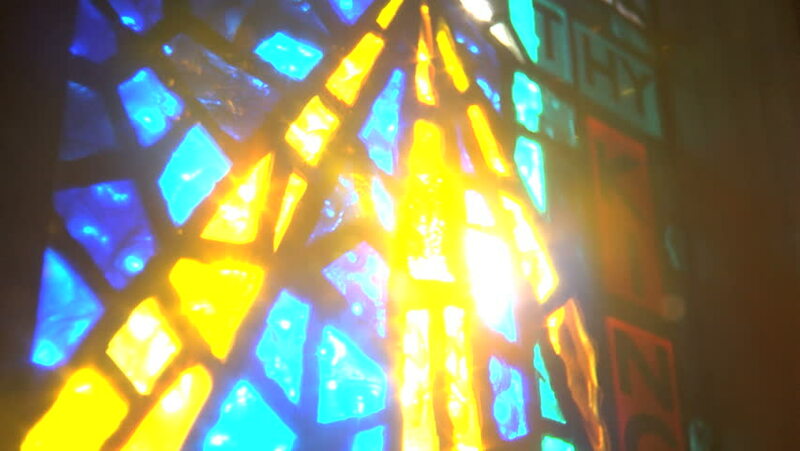 Just the sun streaming through the sunflower-yellow and cobalt blue stained glass, landing in a colorful, warm, holy blanket on my knee. I thought, in those three minutes, about why I was there, what I was craving from God, and how peaceful it was just to sit, quietly, in the warmth of the sun. I received exactly what I needed in those short three minutes. I hoped that other liturgists that morning would build some holy spaces of quiet into their services- because, sometimes, that’s all you need. And so. Take what you will from this report. A nudge to look at your parish website. A hint to study the signage in your church to direct the uninitiated. An appreciation of how uncomfortable it is to go somewhere new and how anxiety producing it is to step into a place where you are the only one who doesn’t know what to expect. And, maybe, a noticing that God can work in and through and around and in spite of our best liturgical or homiletical intentions and come to us in the quiet of silence and the pool of reflected color from a sun- bathed window. And, if you think that is a bit hyperbolic, then I invite you to try it yourself and share your own experience of a Sunday in a new place, and lessons learned from another. testing the comment function on the blog! Being at college has allowed me to do some church shopping as well! 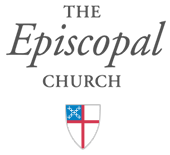 (Not my favorite thing, I will admit–I miss my church family at home) I have been to a few Episcopal Churches, but most Sundays choose to go to a place called “Epic Church” with my friends. We have joined a life group there, and now come across some familiar faces each week. It’s very different–in a theater; worship band; made up of mostly college students, young adults, and parents with younger kids; most weeks watching the message from a screen. The first Sunday I was there, the first thing I noticed was that there was no silence. There’s music playing from the time you walk in to the time you walk out. It isn’t even worship music, but is there, simply, to fill the silence. Silence is something so rare, and I think makes many people extremely uncomfortable. I, too, am a morning person, and one of my favorite things about mornings is the quiet. There are enough people [at Epic Church] that you can slide in and out without anybody noticing you, which is very different from my Episcopal visits where I am welcomed by many parishioners before I even find a pew! Hi Emma- Glad that you’ve found a place to worship while at school and I am impressed with your adventurous spirit! Good on you! We can learn so much from our brothers and sisters who worship in traditions other than our own. Thank you for sharing this. And, prayers and blessings coming your way for a good finish to the semester!